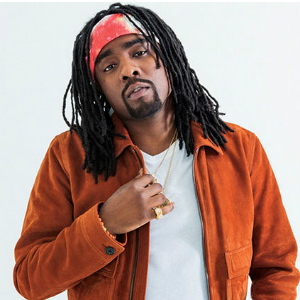 The self-proclaimed "Ambassador of Rap for the Capital," Wale (pronounced "wah-lay") was able to transcend his status as local sensation and become a national rap contender using go-go-inspired hip-hop as the vehicle for his clever wordplay and music. Most of the major singles that ensued for him, however, were melodic slow jams spread across the tail end of the 2000s and well into the late 2010s. These hits, such as "Lotus Flower Bomb" and "Bad," supported albums that regularly landed near or at the top of the Billboard 200. The proper full-length studio releases were supplemented with numerous mixtapes, featured appearances on hits by the likes of Waka Flocka Flame and Rick Ross, and starring roles on multiple volumes in Maybach's Self Made compilation series. Olubowale Victor Akintimehin was born in Washington, D.C. in 1984 to Nigerian immigrants who arrived in America five years prior. Although the family moved to Maryland when the future rapper was ten years old, Wale was mostly raised in suburban D.C. He attended both Robert Morris College and Virginia State University on football scholarships, and eventually transferred again to Bowie State. The music bug had already bitten him hard, though, and soon he quit college altogether to turn to a recording career. He got his first airplay circa 2003-2004 with "Rhyme of the Century," thanks to the help of a local radio DJ who believed in his potential. This landed him in the Unsigned Hype column in Source magazine the following year. In 2006, Wale signed with the local start-up imprint Studio 43 and enjoyed a string of hits in the D.C.-Maryland-Virginia area that year. Many of those records sampled from '80s go-go -- a more raw, percussion-driven offshoot of disco originating in D.C. -- like the popular "Dig Dug," a tribute to Ronald "Dig Dug" Dixon of go-go band the Northeast Groovers. Smart use of the Internet and MySpace was also a big factor in his success, as it helped British über-producer and DJ Mark Ronson (known for his work with Amy Winehouse, Christina Aguilera, and Rhymefest) to catch wind of the go-go MC in 2007. Wale struck a production deal with Ronson's own imprint, Allido, and released the 100 Miles and Running mixtape that summer. Despite not being signed to a major label, he was met with positive press from a number of sources, ranging from XXL magazine to The New York Times. The rapper's second full-length and first proper release for MMG, Ambition, landed in November 2011 and hit number two on the Billboard 200. Its success was driven by the mellow slow jam "Lotus Flower Bomb." One of the year's biggest radio hits, the Miguel collaboration topped Billboard's R&B/hip-hop chart, cracked the Top 40 of the Hot 100, and was later nominated for a Grammy Award in the category of Best Rap Song. Between albums, Wale played a major role in Self Made, Vol. 2, highlighted by "Bag of Money," and supporting roles on tracks from within and outside the Maybach family, such as Ross' "Diced Pineapples" and Cash Out's "Hold Up." In June 2013, the Wale album release gap was closed by The Gifted, a number one Billboard 200 hit due in part to the multi-platinum ballad "Bad" -- the one with the squeaking bed springs -- featuring Tiara Thomas (or Rihanna on the remix). MMG's third Self Made volume, with Wale understandably less involved, was out within only a few months.